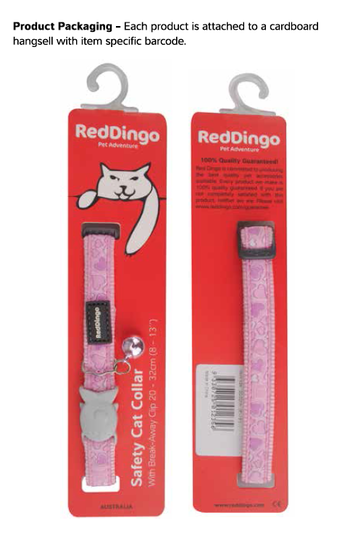 The Red Dingo reflective collar is essential for cats that like to stay out late as it features light reflecting designs to ensure they are safe near roads. As the reflective design runs the entire length of the collars, they can be seen from any angle, unlike blinking collar lights which are only visible from the front. 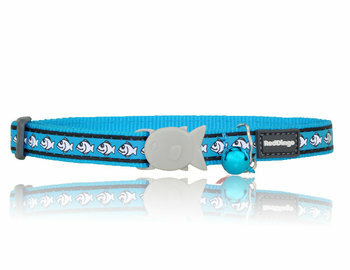 The reflective material is as light as a normal collar and does not require any batteries or bulky attachments.